Victoria comes to the throne at a time of great economic turbulence and resurgent republicanism – and died 64 years later the head of the largest empire the world had ever seen, having revitalised the throne's public image and become ‘grandmother of Europe'. 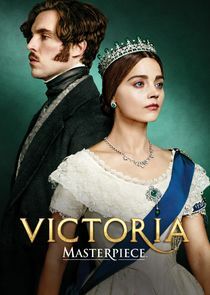 The first series of Victoria, will tell the story of the first years of the reign, beginning with the moment of the Queen's accession in 1837, following her first faltering steps from capricious, hormonal teenager with a weak grasp on her duties and responsibilities to her marriage to Albert. The show is a saga of interlocking circles – the circuits of power in Buckingham Palace and Westminster, the intermarrying royal houses of Europe and the scandals of the below-stairs palace staff. At the centre stands the new Queen – a spirited, passionate woman who must, somehow, become an enduring icon of stability and strength.